Listen as the Junior and Senior students under the direction of Julie Krugman display their vocal talents at the Unitarian Church in Westborough fro a recital in May. 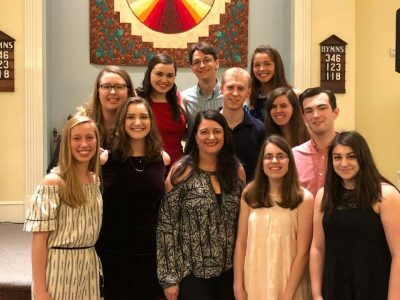 Performances were given by vocalists, Erica Ross, Jillian Smith, Adam Ginsberg, Emily Spofford, Helena Spofford, Mia DeStefano, Owen Larkin, Grace Desmond, Isabelle Seymour, Katelyn Zeyger, and Chris Martin. (Note: Westborough TV apologizes for the audio issues our equipment experienced during this recording.) LISTEN TO THE FULL CONCERT HERE.